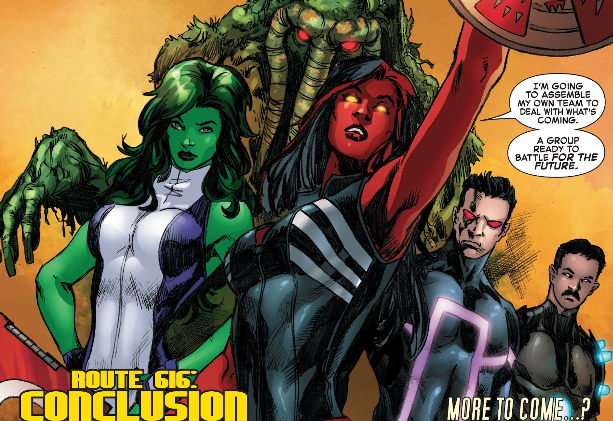 She's Fantastic: Marvel Universe RED SHE-HULK! It's a pretty common theme in comics for a civilian love-interest character to be granted powers similar to her namesake hero. The most notable examples that come to mind are Lois Lane's multiple transformations into Superwoman and Carol Ferris's becoming a Violet Lantern (Star Sapphire). I always enjoy this type of plot. Mostly because I love seeing how the same powers and abilities would be expressed differently from a female perspective. While I've always paid keen attention when these stories would appear, I've never before become quite as obsessed as I was when Betty (Ross) Banner became the Red She-Hulk. She had a brief 10-issue self-titled run from 2012-2013 which I thought was amazing. The art was beautiful, her characterization was well fleshed out. She was righteous, vengeful, compassionate, and of course angry. I loved every page of it. Unfortunately we haven't heard from her in the past six months. 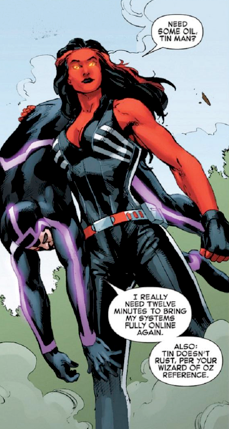 I would love a continuation of the unlikely Red She-Hulk / Machine Man team-up. This Marvel Universe figure is a welcome addition to the small collection of Red She-Hulk merchandise we've seen so far. I just hope the release of this figure will signal a re-emergence of the character in the comics! Here are some images of her from the comics. Here she is with 2013's Marvel Legends Red She-Hulk. 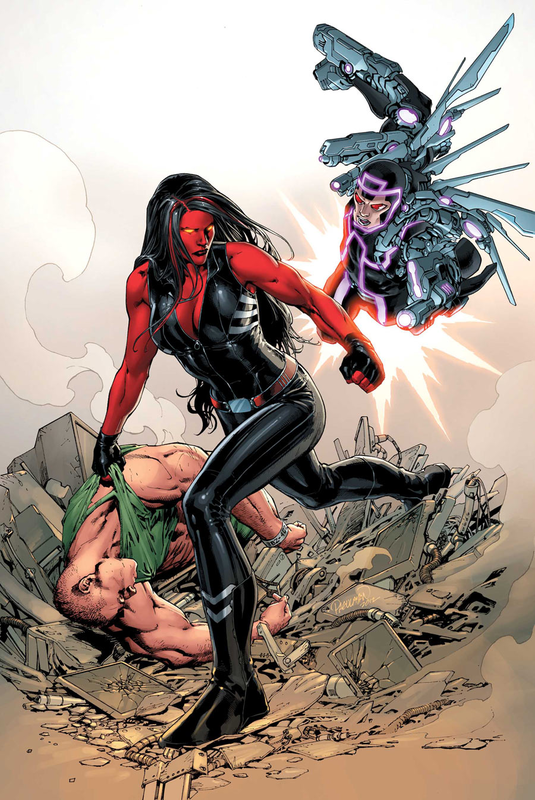 I honestly had no idea that there was a red She Hulk! I havent really kept up with comic books in a very long time so I guess iv missed out on a few things. I love the picture with Man Thing! Yeah Man-Thing was a surprizing addition to the book near the end of the "Route 616" storyline. I've always really liked Man-Thing and I even have a small collection of figures of him. But I realized in this story that I've never read a single story he was in. I guess I just liked the image of him. I even own the recent Infernal Man-Thing miniseries (because I'm a longtime fan of Arthur Adams), which I'm now going to have to dig out and actually read haha. 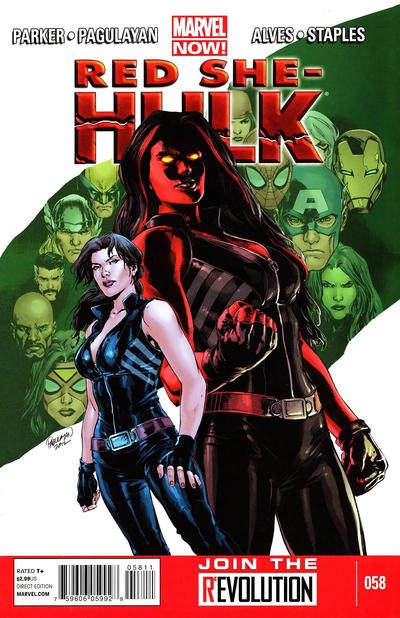 You should try to grab the two Red She-Hulk GNs, I think they're great. 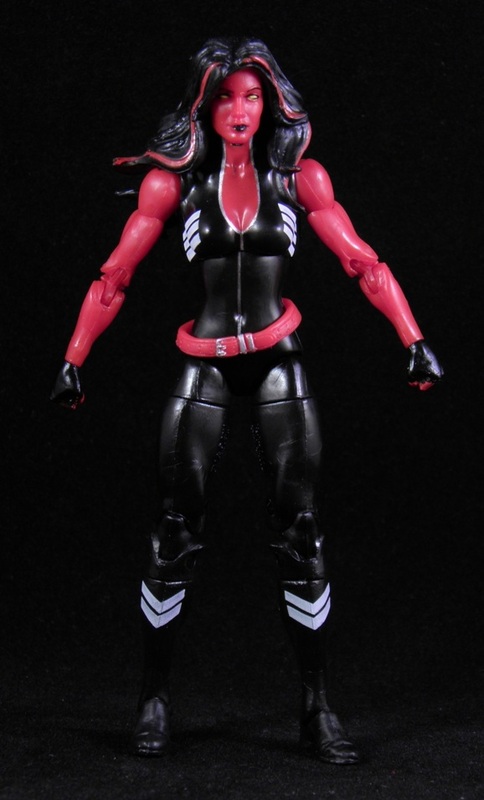 I emntioned this back in my review of her ML figures, but I was never a fan of Red She-Hulk when she first came out (during the Fall of the Hulks sttoyline). She was too wild and I felt like she looked sloppy. It wasn't until the Defenders, Fear Itself, and her self-titled run on Hulk that her look and demeanor was fleshed out and I became a fan. Man Thing was one of the first comics i ever read back in the late 70's and still have fond memory's of his strange tales.I truly haven't read a comic book since Todd McFarlane was still the artist for Amazing Spiderman but I might have to look into the books you listed and try to catch up a little. Recently I took a few outdoor pictures of my ML Man Thing you can check them out here if you feel like it. I would have like her hair to not be a straight repaint of she-hulk. But that little she hulk had the best sculpt of all of them. I must admit, I prefer Betty as the Harpy. But then I love everything mythology. A harpy figure would be so freakin cool. I'm okay with her being a repaint. Different hair would have been nice, but it's a really nice sculpt so I don't mind.